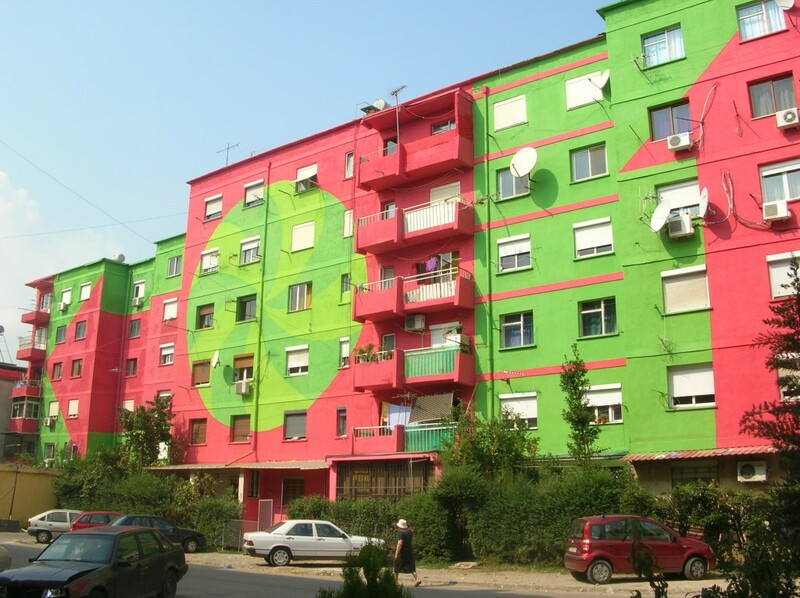 Since 2001, the mayor of Tirana, Edi Rama was the main promoter of the project Tirana Facades. The goal was to reconsider the urban architecture, in a city marked by a strong urban decay. 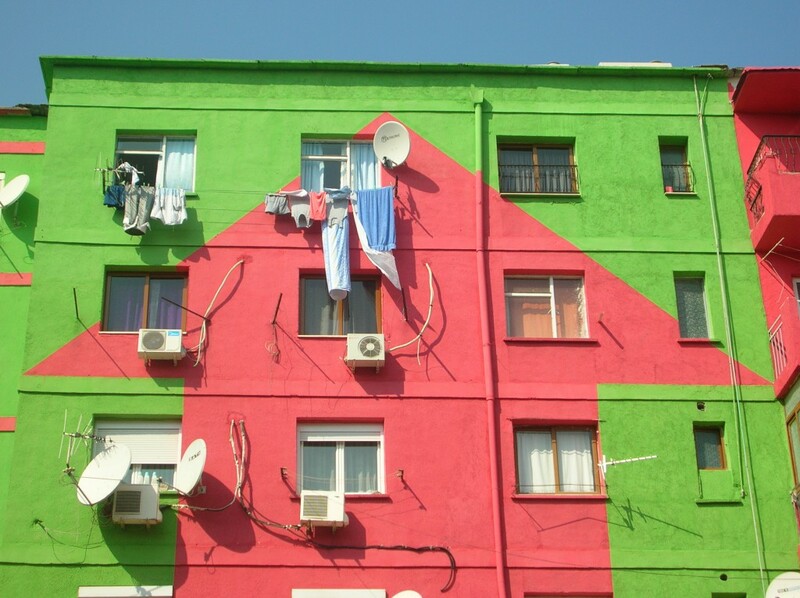 Edi Rama decided that color was the way to change the urban image, to revitalize former socialist blocks and housing complexs. In fact, the first work was made right on the mayor’s own façade. The immediate beneficiaries of this project are the inhabitants of the building who got a resurfaced, repainted and iconic façade. But, and perhaps more importantly, both the inhabitants as well as passers-by are the beneficiaries of a reconstituted social environment and a manifest hope in the transformative powers of public art.